Last spring I attended a California Writers Club – Tri-Valley Branch meeting at which the guest speaker addressed out-of-the-box ways to get to know new people. One method was Help-A-Reporter-Out (HARO) www.helpareporter.com. The speaker explained that by subscribing to HARO she has contributed to several articles, picked up some publicity, and best of all she developed a long-time friendship with an editor at a large New York newspaper. HARO is easy. Go to the web site and sign up. Once on the mailing list I receive one or two emails each business day. If busy, I just hit delete, but I hate to miss out. Reporters from all forms of media need people to interview on countless topics. When I open HARO email I skip Biotech and Healthcare and head for the other eight to ten categories. Sometimes I find interesting requests in several categories. In May I saw a subject line that caught my attention, Looking for seniors who started something new after 65. I sent the reporter an email describing two things I started after 65, zip-lining and writing. I heard back the next day. 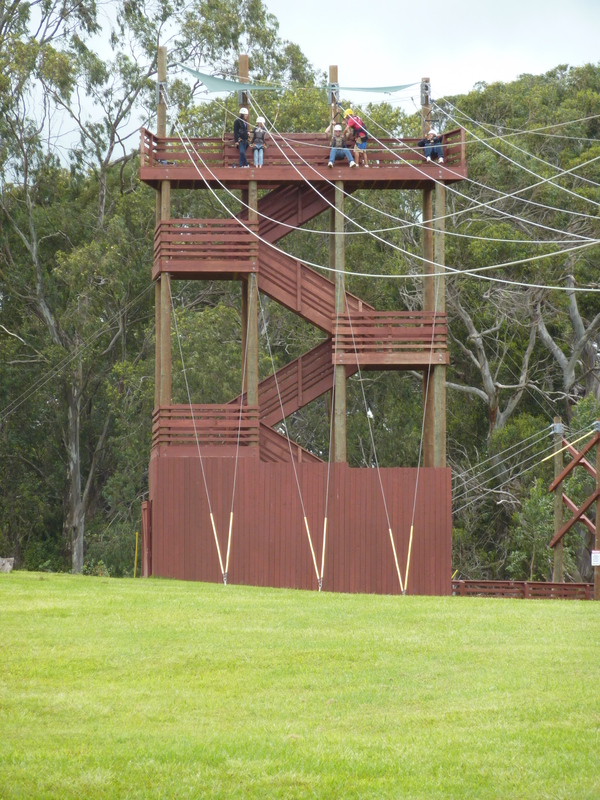 The reporter already had a writer, but she was interested in my fear of heights, and zip-lining. We exchanged a few emails. Today, I’m one of six senior citizens featured in a slide show on my.SilverAge http://mysilverage.thebegroup.org/Retirement/6-Fearless-Seniors-Tackle-Their-Bucket-Lists. I’m number three. This was the first tower we climbed. The reporter used two other photographs for her slideshow. It’s takes five to ten minutes a day, less than an hour a week to check HARO. I’m sure that everyone who reads this blog could help a reporter. I guarantee you’ll have fun doing it. I’m corresponding with a reporter now who is doing a piece on the difficulties faced by people in their sixties trying to find a job.